I break style up into five basic types. Minimalist- your wardrobe is a reflection of your modest lifestyle. You like clothing that’s comfortable and easy to care for. Dressing up is probably not your favorite thing to do. The standard outfit for a minimalist could be jeans, a tee or sweatshirt, and flats or sneakers. Simple tops, slacks, and flats will do the trick for the minimalist in the office. Classic – Your look is polished and well put together. You believe in using traditional pieces to build your wardrobe foundation. You also like to add statement jewelry, a nice, classic handbag and cute shoes to make an outfit stand out. You have more of a timeless style. Structured and tailored pieces can be found in your closet. Trendy - You are always up-to date with your wardrobe. The trendy or chic girl tends to refresh her style with the changing seasons. This girl always looks like she just stepped off the runway. Trendy or chic can be defined by a powerful look and sharp lines that appears effortless. Bohemian – your wardrobe tends to reflect your artsy lifestyle. Your happy and carefree personality comes across in your everyday style. The Boho style focuses on some exotic patterns and textures. A soft and feminine style with a slight edge. Individualist – the individualist loves to stand out. You are drawn to pieces that are bold and fun. The minimalist is great at mixing those old-school thrift store finds with more up to date pieces. Your wardrobe is like your personality; fun, daring, blunt, and full of risks. 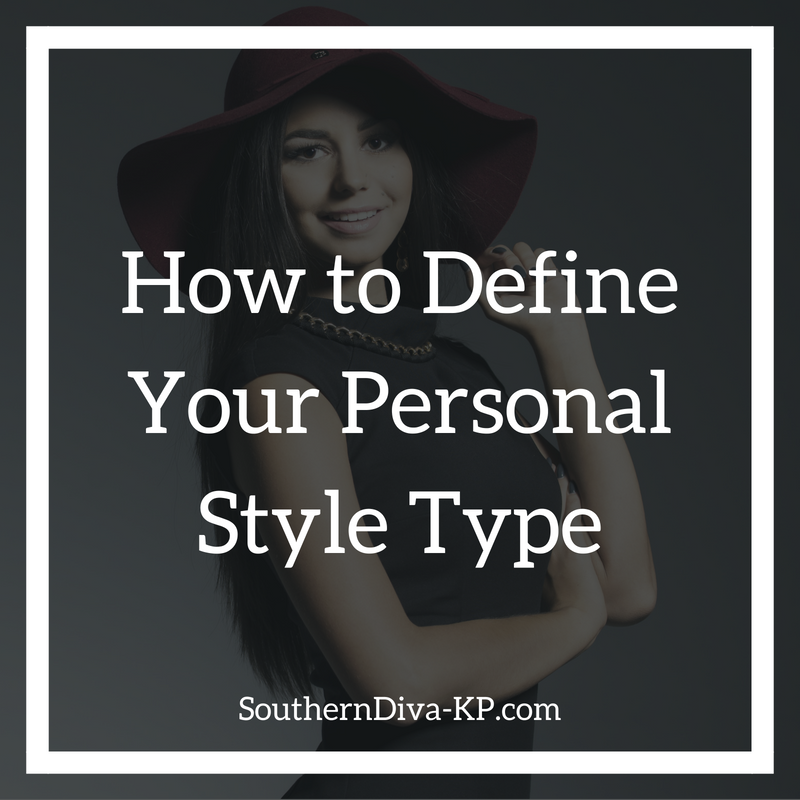 Which of these style types do you fall in? Let’s answer a few questions to find out. 1. What color pallet would we find in your closet? 2. How would you describe your overall look? If you are a mixture, we have a little more work to do. Pinterest will become your friend. Build a “My Style” board on Pinterest. Determine whether your Pins fits into one of the style types above. Even if you easily fit into one of the above styles, it’s a good idea to put together a “My Style” Pin board. Add accessories and shoes to your board and this will serve as your style guide. You can also go old school and pull pictures from magazines. I would start a notebook and tape the pictures you find into the notebook. Instead of a style board you will create your own personal style book. At this point you should have a sense of what your personal style is. Using your new style guide, you should be able to edit your closet down to what fits your current style. If you end up whittling your closet down to virtually nothing, use my Closet Essentials Checklist to help rebuild your wardrobe.